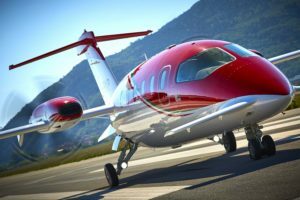 Piaggio Aerospace, one of the leading players in the aviation industry, will attend the next edition of the Langkawi International Maritime and Aerospace Exhibition (LIMA’19), taking place at the Mahsuri International Exhibition Centre (MIEC) and the Resorts World of the Malaysian city, from 26 to 30 March. Together with its local partner APL – a provider of aeronautical services – Piaggio Aerospace will host guests, delegations and visitors in a customized chalet (GC03) and will display an Avanti EVO, recently purchased and managed by APL. Fully designed and manufactured in Italy, the Avanti EVO is the third generation of the legendary P.180, with around 220 aircraft operating worldwide. The innovative 5-blade scimitar propellers and the historic three-lifting surface configuration work together to give this aircraft a unique aerodynamic performance in its class. Combining lavish “Made in Italy” style, meticulous attention to details and ground-breaking aviation technology, the Avanti EVO offers superior climb performance, huge fuel savings and lower emissions compared to aircraft in the same class. Now in its fifteenth edition, LIMA is the largest maritime and aerospace show of the Asia-Pacific region. With 120,000 m2 of exhibiting space, more than 550 companies and 370 international delegations, the show provides a rich programme of conferences, seminars, and aerial and maritime demos to 280,000 trade and public visitors. “Exhibiting at LIMA’19 is a major opportunity for Piaggio Aerospace to promote its flagship product and strengthen the business with important government and private local customers” said Vincenzo Nicastro, Extraordinary Receiver of Piaggio Aerospace. “It’s also the first public event after the Company went under receivership, to witness the vigour and the commitment of Piaggio Aerospace and its people to promote the whole range of products in the global market”. Piaggio Aerospace is also ready to complete the development and to start the commercialisation of the P.1HH HammerHead, state-of-the-art Unmanned Aerial System designed for ISR missions (Intelligence, Surveillance and Reconnaissance).